Stromatolite fossil. 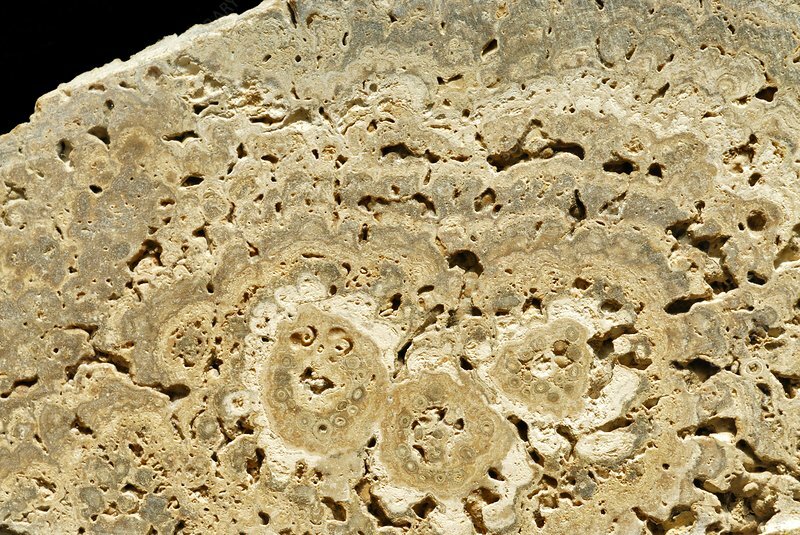 Close-up of a section through a fossilised stromatolite. Stromatolites are mineralised microbial communities formed from microorganisms, such as algae. Over an extended period of time (often thousands of years) they trap detritus and sediment, forming large, living rafts known as microbial mats. Calcium carbonate secretions causes the mats to mineralise, forming the rock-like structure seen here. Stromatolites are known as living fossils because the process continues today.